We sell handmade, unique Scottish crafts. Our stock is all limited edition & most are 'one offs' that aren't reproduced. Our displayed stock is constantly changing but here's a taster of what's for sale. 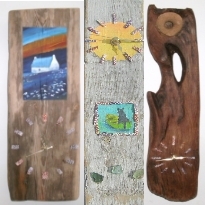 Coastal decor crafts made with beautiful north-west coast Scottish driftwood ~ Driftwood framed mirrors, quirky driftwood table lamps, driftwood shelves & candle sconces, driftwood clocks & mobiles ~ all up-cycled & eco-friendly. Hand-spun & hand-knitted woollen items all from a flock local to this area ~ Hats, hand warmers, baby booties & balls of wool to knit your own. 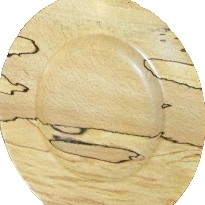 Hand-turned wood ~ Unusual bowls, saucers, plates & candlesticks. Hand-crafted Scottish sea glass jewellery ~ Necklaces, bracelets & earings with Sterling silver chains & fittings. 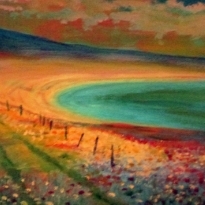 Paintings ~ Capturing the intensity of colour you'll find in the Highlands and Islands. Books, maps & guides ~ on things of local interest ~ on fishing, walking, birds, flora & fauna, animal life, geology, history & adventure. I’ve traveled along the north coast & south down from Durness. This is the best selection of arts & crafts I’ve seen in all that way. 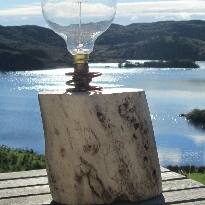 Unique lighting designs using north-west coast driftwood reclaimed & up-cycled from local beaches. Made from up-cycled locally sourced wood. Beautifully patterned, hand turned & polished. 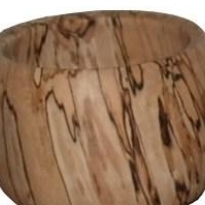 Bowls of all shapes & sizes ~ for decorative use ~ all well finished & with beautiful & unique spalted patterning. 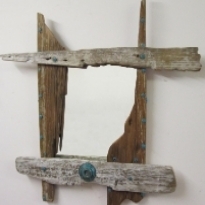 Made from north-west coast driftwood in a variety of sizes, shapes & designs & ever popular. 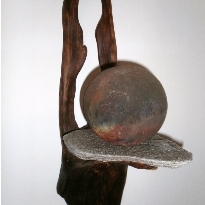 Shelving hand crafted from local driftwood. We stock a wide range from triple to single shelves. Quality quartz time pieces incorporated in to driftwood. Stunning & unique clocks for the home. 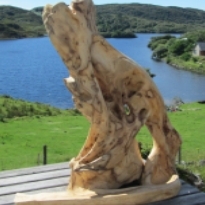 Our driftwood sculptures are all 'one-off' designs based on the natural shape & beauty of the wood. 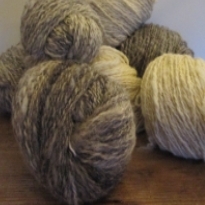 Wool from a local flock of Shetland sheep. Hand spun balls, hats, headbands, hand warmers & booties. 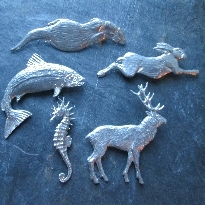 Beautiful hand crafted pewter broaches of north-west coast wildlife ~ deer, salmon, seahorse, otter & hare. Highland & Island landscapes scenes capturing the vibrancy of colours ~ in acrylics on canvas, wood & slate. 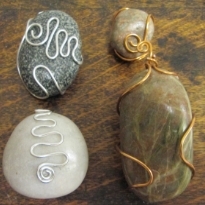 Beautiful beach rounded pebbles from this area embellished with plated copper & silver wire windings. 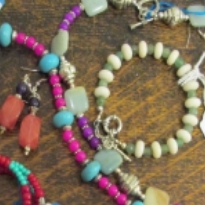 Hand made jewellery ~ bracelets, ear-rings & necklaces ~ made from Stirling silver & Scottish sea glass. If you can't come to Drumbeg Stores, then please visit our crafts shop on Etsy, where you can buy on-line.